With digital marketing, brands and businesses are now equipped with the tools, insights, platforms and data necessary to, not only target their audiences in new contextually relevant and engaging ways, but to also understand their customers like never before. 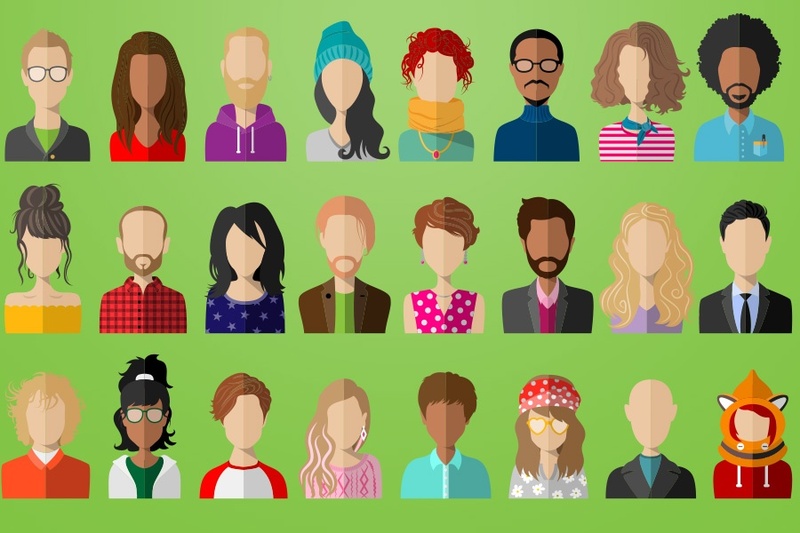 Let’s take a look at digital personas and how developing these for your brand or business can drive profits and growth! Before beginning to develop your digital personas, it’s important to pause and ask yourself: are you sure that you are talking to the right people? Often it’s a case of being too close to the action, but we see many businesses and brands every year, who come to us with sales and performance issues that could be easily solved through a realignment in consumer-targeting. If you’re finding it difficult to connect with who you think your customers are and should be, it might be time to revisit your business strategy and make absolutely sure that your target audience is realistic and sensible. This is also why we encourage our clients to invest in the strategy of their business, operation or brand. Sometimes a fresh pair of eyes at this point in the planning and development, can unlock potential markets (niche, or otherwise) that are ripe for the taking. 24-35 year olds: First home buyers. 35-50 year olds: Second home buyers. Families. As you can see with this kind of a business model, where their consumers might be from entirely different backgrounds, socioeconomic standing and family units: understanding the different personas in your target audience is key to communicating effectively. Under 18 year olds: School-aged spenders. Heavy social media users, environmentally conscious, technologically savvy, entrepreneurial drive. Prefers Instagram/Snapchat over Facebook. 18-24 year olds: Teenagers/Young adults. Working low-paying jobs, or attending university. Prolific on social media, particularly Facebook. Living in the ‘now’ still, but starting to develop concern for future financial planning. 24-35 year olds: First home buyers. Starting to settle down, get married, have children. Important life stage. Time-poor, but still spends time on social media. Would be more likely to watch YouTube, rather than spend time on Instagram. 35-50 year olds: Second home buyers. Families. Busy lifestyle, revolving around family. A little less technologically minded than the other groups, might prefer the television over the computer. However, does spend considerable time on Google. 50+: Leisure seekers. Least technologically minded. Would phone, then email, over other social media platforms, but may still be active and engaging on Facebook. Do you know how and where to talk to them? Once you have this level of detail: who you want to talk to, and an understanding of their lives-- you can use this to build out your digital personas. The key here is to immerse yourself in the world of each of your consumer types, to construct a persona that feels authentic to them, and will allow you to strategically align what you are doing. Sally attends the University of Queensland, where she is studying a Bachelor of Criminal Justice. She lives a fairly inexpensive lifestyle, working part-time as a barista at her local Coffee Club. Sally lives in a share-house with friends and spends the most of her money on a Friday - Sunday. Her favourite social media platform is Facebook, but she hates ads, so probably has an ad blocker turned on for everything that she does on desktop. She doesn’t believe in the “good” of banks, and will need some convincing to click on anything from a financial institution. She’s probably still banking with her parent’s bank, and hasn’t chosen one for her own specific needs just yet. As you can see, once you start to know your consumer and understand their behaviours, you can build out a digital persona that will help you communicate more effectively: with purpose. This alone could unlock a world of potential for your business. Remember that growth and consistency is key, and we are always available to help!